Maintaining your roof is an important task all year round. With winter weather right around the corner, now is the time to check that your roof is prepared for the harsh winter winds, ice and snow. Here are our top 3 fall roof maintenance tips that will help you get your roof ready for the winter months. Trim Trees – Trimming your trees ensures that there aren’t any dead limbs or large branches that may be leaning towards your home. The weak limbs can easily snap under the weight of the snow. Getting rid of branches that are hanging over your home will also cut down the amount of leaves that can fall and build up on your roof and in the gutters. Clean Gutters – Cleaning your gutters regularly will help avoid damage. 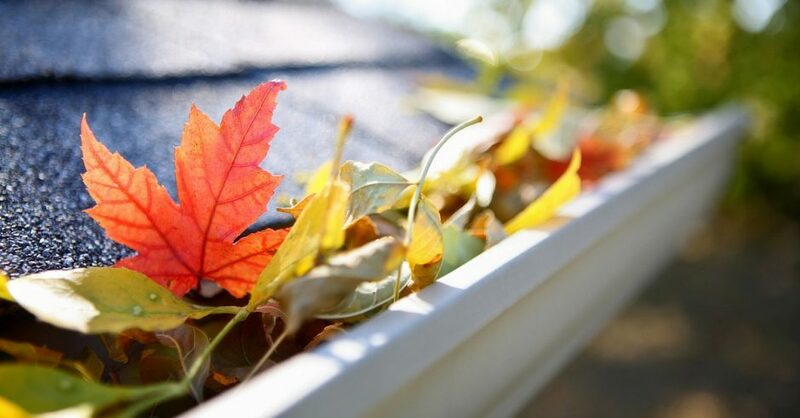 The leaves and debris can also cause water to back up and your gutters will not drain correctly. Water that does not get cleared out by winter will freeze and further damage your roof. Inspect Roof – Inspections will help flag any small fixes, possible avoiding big repairs down the road. The strength of your roof will be evaluated and you will be notified of any potential leaks, missing or loose shingles, or damaged gutters. During inspection, if you discover issues with the condition of your roof, contact The Chuba Company for a no-cost estimate. The Chuba Company has installed more than 700 roofs using our dedicated and experienced crew of professional roofers. We also hold an A+ rating with the Better Business Bureau and are GAF Master Elite certified contractors, a distinction held by only 3% of all roofing contractors. And when you compare The Chuba Company’s warranty against the competition, you’ll see the difference. And don’t forget – Chuba gives a lifetime workmanship warranty on all exterior work. Be sure to follow us on Facebook, Pinterest, and Houzz to see our quality project examples!